From Bakersfield, CA. This group had four singles during their lifetime all on different labels. This was their third release, 'Worryin' Kind' is a catchy garage rocker with a hot guitar break. The flip, 'Words' was the first known release of the Boyce & Hart song made famous by The Monkees in 1967. 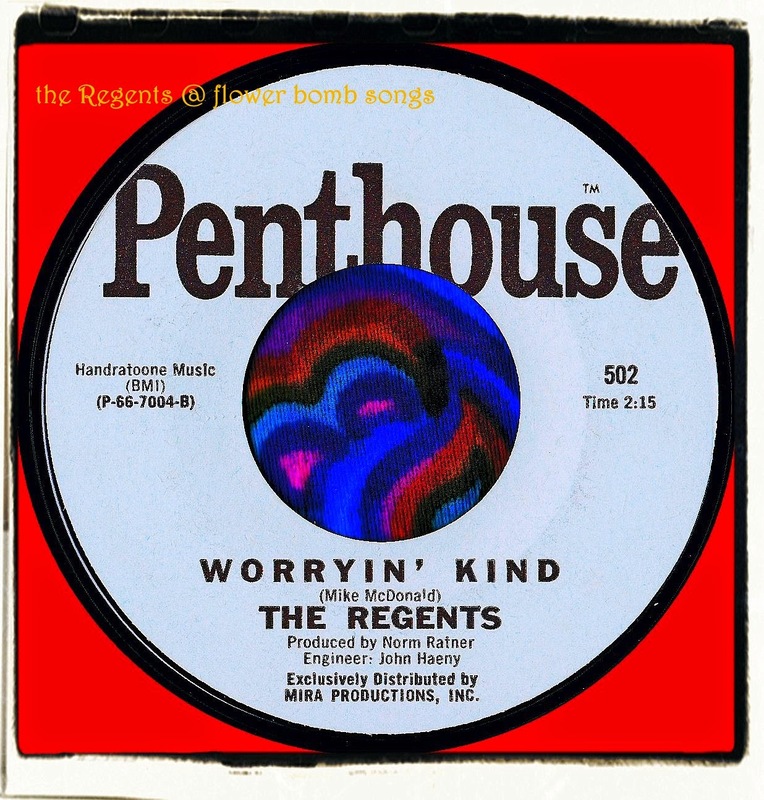 Norm Ratner produced this disc and his name crops up on many noteworthy folk-rock and garage releases including singles by The Bees, The Hook, The Inrhodes, The Leaves, W.C. Fields Memorial Electric String Band and The Yellow Payges. I'm sure that there will be more. Over the years 'Words' has been compiled on Killer Cuts and Quagmire #6 whilst 'Worryin' Kind' can be found on Acid Dreams #3 and Quagmire #5. Yeah, I checked YouTube and it wasn't there so I uploaded it! you're right, cool guitar break. Tho generic 60's style, to my ears it sounds a lot like Jerry Cole.